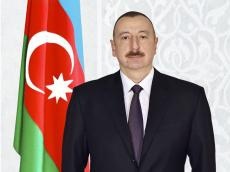 President of Azerbaijan Ilham Aliyev signed a decree on additional measures to improve public administration in the country on Jan. 14. According to the decree, the activity of the Science Development Foundation and the Baku International Multiculturalism Center will be reorganized based on the self-financing principle. The State Agency on Alternative and Renewable Energy Sources, the Knowledge Foundation and the Center for Strategic Studies are being liquidated. The Secretariat of the Interdepartmental Commission for Protection of State Secret, the Working Group of the Azerbaijan State Commission for Combating Narcotics and Illegal Drug Circulation, the Working Group of the Azerbaijan State Commission on Affairs of Prisoners of War, Hostages and Missing People, the Secretariat of the Tariff Council are being also liquidated to reorganize their activity on a voluntary basis.